Naturalist Robert Sparks Walker, founder of Audubon Acres and the Elise Chapin Wildlife Sanctuary, was born in 1878 in a log cabin on the north side of Chickamauga Creek that was also the birthplace of the Cherokee naturalist Spring Frog, or Too-an-tuh, in 1754. As a young man, Spring Frog was athletic and particularly skilled at the native game of ball play, the forerunner of lacrosse. He joined the Cherokee regiment that fought against the Creeks with Gen. Andrew Jackson in the battle of Emuckfaw in January and the battle of Horseshoe Bend on March 27, 1814. Spring Frog was among those Cherokee who migrated to the Arkansas River Valley west of present day Little Rock in early 1817 and 1818. He signed the first law providing for a Light Horse Company to preserve the peace as "one of the Chiefs, Headmen, and Warriors of the Cherokee Nation." When the Osages wantonly killed several Cherokees in the Battle of the Strawberry Moon in June of 1818, Spring Frog, then 64, convened the council and was among those leading the pursuit. They surprised and burned the village, killed and captured 80 Osages, and destroyed all their provisions. Known as a skilled hunter, trapper and fisherman, Spring Frog was a keen observer of nature and something of a philosopher. He served as a guide to John James Audubon when he visited Arkansas in 1820 and 1822. Spring Frog eventually settled on a farm near Briartown in present day Muskogee County, Okla. He was an accomplished farmer who also raised cattle and traded in horses. A strong man in the council, he loved peace despite his reputation as a warrior. On Aug. 31, 1859, he drowned in the Canadian River about two miles south of Briartown cemetery, where he is buried. Thomas McKenney, who served as U.S. superintendent of Indian Affairs in Washington, D.C., from 1824 to 1830, developed a collection of portraits of prominent native Americans who visited the city as delegates of their tribes. McKenney commissioned a well-known portraitist, Charles Bird King, to paint the leaders of some 20 Native American tribes. Among them was Spring Frog, who may have visited Washington during that period. In 1835 McKenney began work on the "History of Indian Tribes of North America," illustrated with hand-colored prints based upon the portraits painted by King and other artists and copied by Charles Inman. McKenney wrote a biography of each subject and Cincinnati lawyer James Hall added a long essay on the history of Native Americans. In his 1955 book "As the Indians Left It," there is a photograph of Robert Sparks Walker on his 75th birthday sitting by the fire in the Spring Frog cabin. A copy of the Charles Bird King portrait of Spring Frog hangs on the wall to the left of the fireplace. The original location of this cabin was near the Western & Atlantic railroad tracks. It has now been moved to a prominent knoll near a meadow and orchard. When Audubon Acres hosted the first Tennessee Tiny House Festival there in September 2017, living history demonstrations were held at the Spring Frog cabin to welcome visitors. Walker himself loved to show visitors, especially school children, around the wildlife sanctuary. 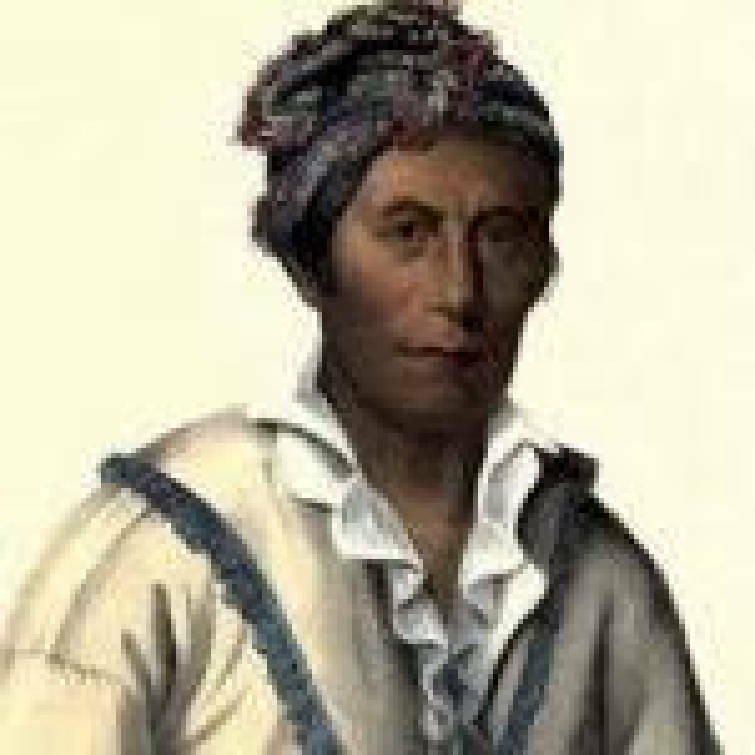 He invoked the spirit of Too-an-tuh, the Cherokee naturalist, as a guide. "See Too-an-tuh at this moment as he steps out of his old log cabin," Walker wrote in his book. "His face is ruddy and beardless. His body is muscular, and so are his limbs. He stands straight as an arrow, almost six feet tall. His physique is perfect, and, from the sparkle in his eyes, we are convinced that we are to meet a kind-hearted and most amiable person." "He bows politely, and instead of walking directly toward us, he hurries to an old evergreen red cedar tree growing on the front lawn and embraces it affectionately, exclaiming 'Atsina: (red cedar), my dear childhood companion!' Too-an-tuh had played beneath its fragrant boughs during his early days. Here he comes, walking briskly and extends his hand, gives each person a cordial hand shake, and loses no time in starting on foot, following the path that borders the foot of the railroad embankment, leading towards Chickamauga Creek." We'll leave them there, conducting their tour. Thanks to the Chattanooga Audubon Society, today's visitors can continue to enjoy the trails of the Elise Chapin Wildlife Sanctuary "as the Indians left it." Kay Baker Gaston is a regional historian and a former Chattanoogan. For more, visit chattahistoricalass.org.